I am so much of a fan of those talented people - actors, actressess, writers, directors, etc. They makes me loud so much being a fanatic! DIREK RICO V. GUTIERREZ - This great man is such a music genious! He's a director of Party Pilipinas that is so innovative and creative and very approacheable! 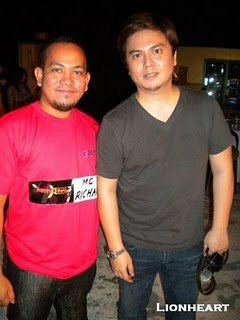 He was one of reasons for the innovation and the world class quality of GMA7's newest Musical-Variety Show, Party Pilipinas. JONALYN VIRAY - She was known for possessing a wide vocal range and having Mariah Carey as her greatest musical influence on her vocal styles and techniques and is her influence on the use of the whistle register. Everytime she performs at Party Pilipinas, all my reactions are "wow", "great" goosebumps! 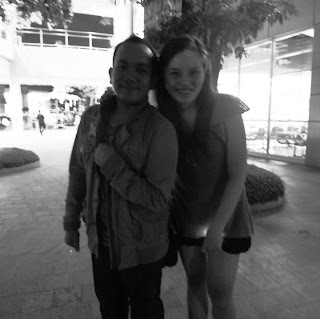 HANNAH FLORES - I have met this lovely lady because of a good friend of mine and even though she's a singing star (ASAP/ShoutOut - ABS-CBN), you'll see her as lovely and very accomodating and friendly. This ShoutOut girl has something to offer with her lovely voice and such a talented one! YASSI PRESSMAN - She's the newest it girl in Party Pilipinas. She is really a multi-talented girl... She can act, sing and dance.. These are some of the people who can made me thrill and shout out loud! kala ko nasa showbiz industry ka na. I was there at Jonalyn Viray UNCOVERED Concert!